If you are worried about deleting important information from your Android device, you may wish to simply transfer it up to your computer to keep it. Or you may simply want to transfer the photos from your day at the beach onto your computer. However, due to the open nature of the Google Android operating system, there are several software available that aim to help you manage your Android device through your computer. In this article, we will look at some of the best Android software management software available. 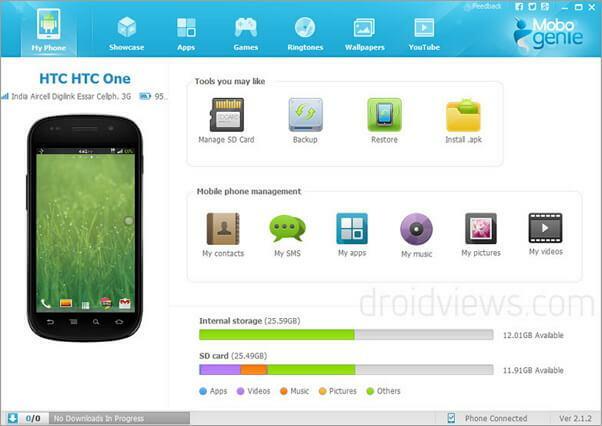 Note that all the software enables you to connect Android to PC for file transfer, as well as allowing the selection of specific files onto your computer. But, some are better than other. Easily integrate entire iTunes library with a click. Work much faster and incredibly stable. Step 1. Download dr.fone and install it to your computer. Connect your Android phone to PC with USB Cable. Notice how it displays the same image that is on the screen of your device. Step 2. Click on the "Transfer" tab among other options. The following main interface for dr.fone - Transfer will be displayed. Step 3. 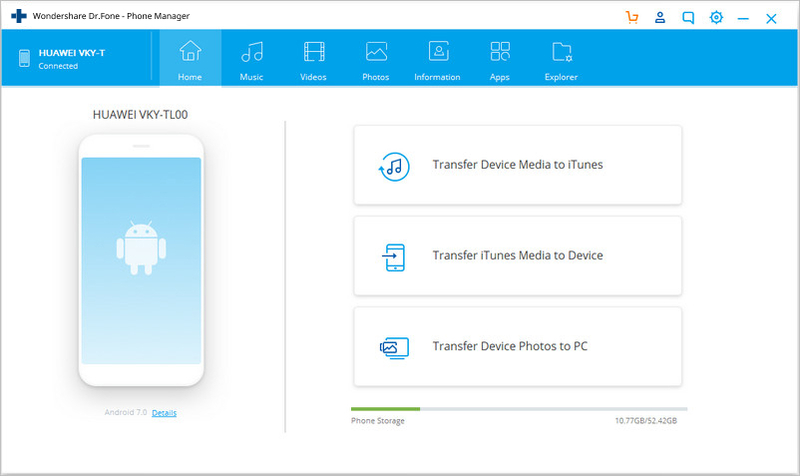 We will take Android USB file transfer (photos) as an example. Other file types share the same operations. Hit on the "Photos" tab. You can see that the software shows all the albums in the left part. Step 4. Select your photos you want to transfer to the PC, and click the Export icon > "Export to PC". Video Guide: How to Achieve Android USB File Transfer with PC? dr.fone - Transfer also features other helpful tools, such as the De-Duplicate option, which automatically scans all your contacts for any repetitions, which is always a nuisance (you often end up with duplicate contacts if you sync your contacts with Facebook, as well as already having them on your device, for example). Uninstall stock apps in batches. Easily download and manage apps. Easily transfer multiple files from your PC to your Android, and vice versa. Only connect one Android device at a time. Does not have integrated music sharing. 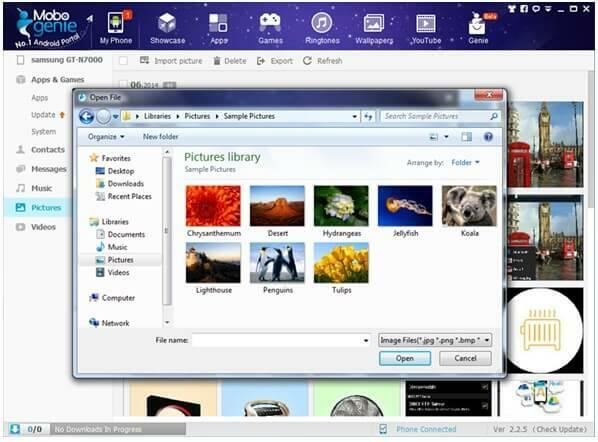 As with other data management software, you can download and install apps onto your Android device from your PC. The advantage of this is that apps can be downloaded quickly, and also without costing you in terms of data roaming charges. A neat feature is the ability to uninstall apps that came preloaded on the phone as often we find ourselves with apps that we never use that we cannot delete. The transfer of photo files is straightforward, and several photos can be selected from your computer to import onto your device at once, or vice versa. Support wireless connection of devices on the same network (although temperamental). 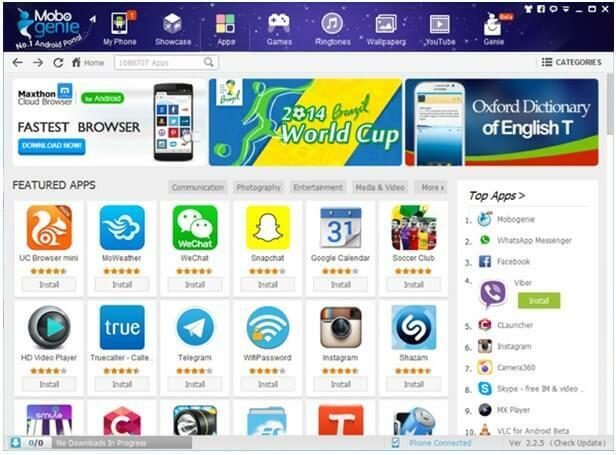 Download apps onto it through app store. Download MoboRobo and install this Android USB file transfer tool on your computer. Upon opening it, you will be prompted to connect your Android device with a USB cable or over WiFi, and then once connected, you will be asked permission to install the app on your Android device as well. Once connected, you will be brought to this home page, notice the options to use different devices as well as connected through Wi-Fi. As with Mobogenie, once you are on the software, it is fairly easy to navigate around, and you can do everything from sending SMS from your PC to transferring apps and contacts. However, a drawback is that the management of your music requires you to have all your MP3 files on your PC and moving them on to the software- not extremely inconvenient, but as we will see much easier solutions exist. We recommend the use of dr.fone - Transfer for Android Pro, as it is more reliable and provides a simple user-friendly interface that allows you to manage your Android device with ease. You can alwo transfer files between Android and Mac easily. 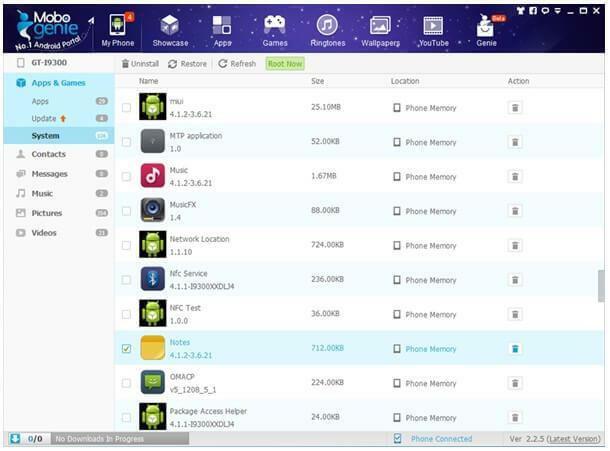 Here, in this guide, we will show you the top 5 Android to Android file transfer app that lets the Android users transfer their important files in minimum possible time. Do you want to transfer data from Motorola to Mac? Here are top 2 easy ways to transfer Motorola to Mac, including Moto G5, Moto Z. This article mainly tells you how to transfer photos from computer to Android in a simple way. Now, go through it. Transfer pictures from Huawei phone to computer in a seamless way by reading this extensive guide. 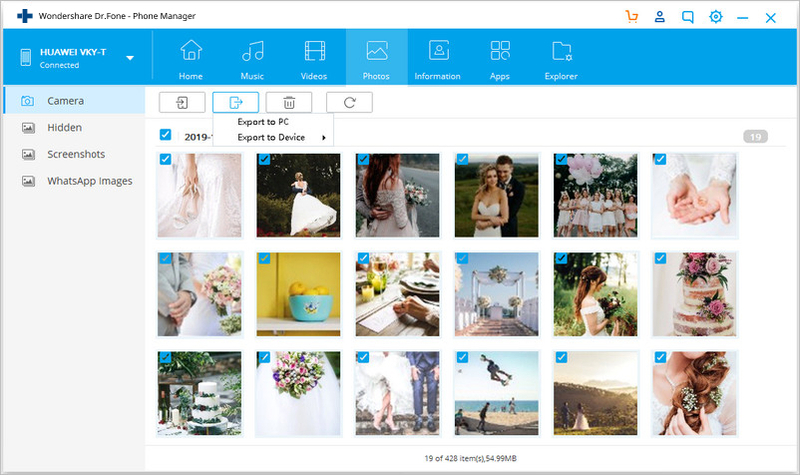 We have listed a stepwise solution to backup your pictures.